At the end of August Sony announced the launch of the Alpha 77 and Alpha 65 SLT (single lens translucent), and NEX-7 and NEX-5N CSC (compact system camera) models. 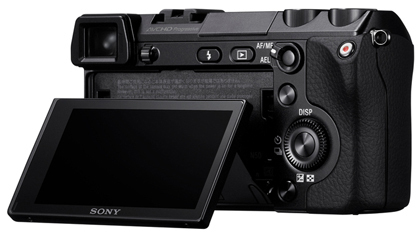 The Alpha 77 is now the company?s flagship SLT camera that features a fixed translucent mirror. It replaces the Alpha 700, a moving-mirror DSLR model, which shows the company?s intention to follow fixed-mirror technology. The other new SLT release, the Alpha 65, is classed by the company as a prosumer model, and brings the total to four models in the Sony SLT range, with the already established Alpha 55 still current and the recently released Alpha 35 as an entry-level model. The NEX-7 is the flagship model in the NEX mirrorless CSC range. The specifications of the Alpha 77 and NEX-7 are impressive, with virtually every key feature having been enhanced and refined ? and in some cases dramatically so. 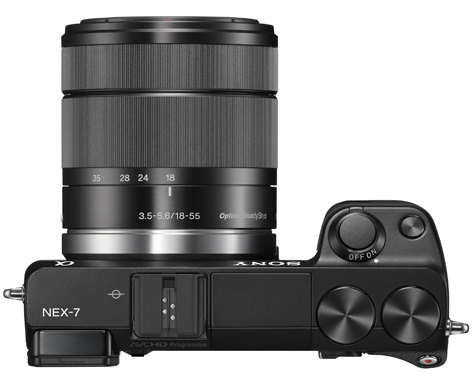 The main headline-grabbing feature of the Alpha 77 and NEX-7 is the 24.3-million-pixel sensor, which at the time of writing is the highest resolution for a single APS-C-format sensor and should deliver an impressive level of detail. 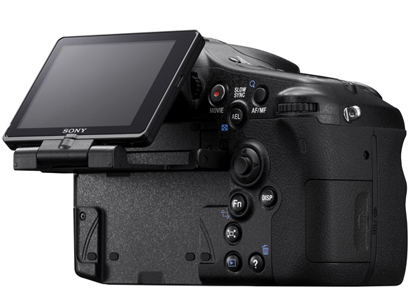 Sony has developed its latest electronic viewfinder (EVF) completely in-house, and it can be found on the Alpha 77, Alpha 65 and NEX-7, and as an external unit for the new NEX-5N. It is a 2,359,000-dot XGA OLED type, which is around twice the resolution of the EVF from the Alpha 55. It has 100% coverage and also the full benefit of display information, including active AF points, a histogram and two-dimensional level gauge. Image composition and playback do not end with the viewfinder, because the Alpha 77 features a tilt-and-swivel LCD screen. This combines two of the company?s screen-articulation designs into one for flexible positioning. The NEX-7 has the same tilt design as the older NEX-5. High-speed shooting is quicker than ever through the Alpha 77 and NEX-7 at 12fps and 10fps respectively. I had an early product sample of the Alpha 77 for a couple of days and a much briefer hold of the NEX-7, and my first impressions of both cameras are very good. A glittering specification is one thing, but photographers will be keen to know how the Alpha 77 handles and performs. This model has many desirable facets, and as a flagship model it has a tough, magnesium-alloy body that is sealed against dust and moisture. Weatherproofing also features on the new 16-50mm f/2.8 kit lens (approximately 25-80mm equivalent), the VG-C77AM vertical grip (£270) and HVL-F43AM flashgun (around £300), making it a system that should be able to handle tough environments. A refined handgrip is moulded perfectly to the shape of the hand, and there are a vast number of external controls, many of which can be customised to suit the user. Even the shooting-mode dial has a custom setting for quick access. Other dedicated modes on the dial include 12fps, 3D and sweep panorama. Four new picture effects are HDR painting, soft focus, miniature and rich-tone monochrome, which makes a total of 11 modes with 15 different effects. A built-in teleconverter is accessed via a button next to the LCD screen, and offers 1.4x and 2x magnification. It is available in JPEG format only and at a reduced resolution. This is a great quick option to get in closer, and because of the high maximum pixel count the reduced resolution is still a respectable 12 million pixels at 1.4x and 6 million pixels at 2x. I used a 70-400mm f/4-5.6 Sony lens, which has an equivalent 600mm maximum focal length, and with the 2x converter becomes a 1,200mm optic. 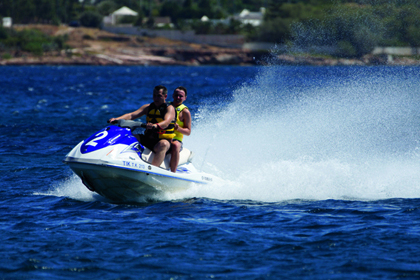 Sony Alpha DSLR users will know just how aggressive the mirror action is on models such as the Alpha 700 and Alpha 900, which in itself creates camera shake during exposures. However, the fixed translucent mirror eradicates this problem in the Alpha 77. The viewfinder is a pleasure to use, being bright with a wealth of display information available. In fact, at times it is easy to forget that this is a electronic viewfinder and not an optical one. The high-resolution fine detail shows no sign of rough pixel edges. A handy element is that exposures are previewed in the viewfinder, so the effect of shutter speed or depth of field is apparent. One major concern about electronic viewfinders is that the refresh rate after image capture can make it very difficult to keep up with moving objects. However, the EVF on the Alpha 77 is much quicker, although for such situations users should still turn off the image review so it is not shown on the EVF between frames. The versatile LCD screen offers good viewing even in bright sunlight, because the screen?s TruBlack technology gives an impressive contrast, although it does pick up smudges easily and benefits from regular cleaning. A revised AF system includes 19 points, of which 11 are of the more sensitive cross-head sensor type and work with f/5.6 lenses or faster. Continuous phase-detection AF is possible in both video mode and even 12fps shooting, although in the latter aperture control is sacrificed to f/3.5 or the maximum aperture of the lens. Tracking AF is responsive. ?Peaking? is primarily used to show overexposed areas and adjust the exposure accordingly. 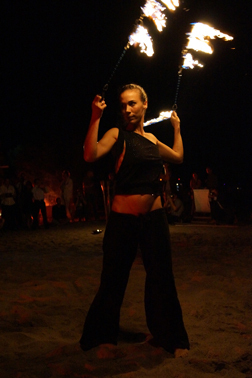 Another trick for this function, is for critical focusing of highlight areas, such as the eyes in a portrait. With manual focus selected and peaking activated to one of three colours, such as red, it is much easier to adjust the point of focus to that area accurately. This helps no end, especially when a shallow depth of field is used. A refined GPS system is accurate and detailed. Although this can be deactivated, I found that the battery life is impressive, being able to take more than 1,000 images over a couple of days from a full charge. Full 1080p video files can be recorded at 25p or 50p for cinematic quality. Full PASM control is available, as well as many of the picture effects. Video clips can be made up to 29mins. In the older Alpha 33 and Alpha 55 models, there was an overheating issue that limited this to 9min clips. According to Sony, this issue has now been resolved by a new SteadyShot engine. When the camera is pushed to its limits, it has to process 24.3-million-pixel maximum resolution files at 12 frames per second for a one-second burst. With an early sample model, processing speeds for a raw + JPEG file take around 3.5secs. The 12fps is available for a 1sec burst, and the files take 29secs to process, although another shorter burst is possible while the files are being processed. For full aperture control, high continuous drive mode offers up to 8fps is possible at a 12-frame burst. Shutter lag is now 0.05sec thanks to an electronic first curtain, which makes it approximately 30% faster than the Alpha 700. Looking at my first images, it is clear that the 24.3-million-pixel sensor resolves a staggering level of detail, especially when used with a prime lens. Large prints at high quality will be possible from the 6000×4000-pixel files. The 16-50mm f/2.8 kit lens serves as a good all-purpose optic and is a great endorsement from Sony as to how well it regards the camera. 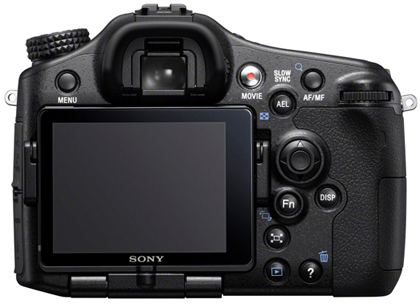 Sony has stated that the unusual 7 1/3EV ISO range of 100-16,000 has been implemented because at this time the company is not satisfied with image quality at higher sensitivities. From the sample model I used, noise is very well controlled all the way up to ISO 1600 and each of these settings could be used happily without a noticeable degradation in image sharpness. At ISO 3200, luminance noise starts to become apparent. Handily, the ISO range can be extended down to ISO 50, which I found very useful in the bright sunshine when I wanted faster apertures for portraits. The SRP of the Alpha 77 is £1,149 body only and £1,659 with the 16-50mm f/2.8 kit lens. My initial impressions of the Alpha 77 are very positive, and I look forward to getting my hands on a full production model and conducting a full test. 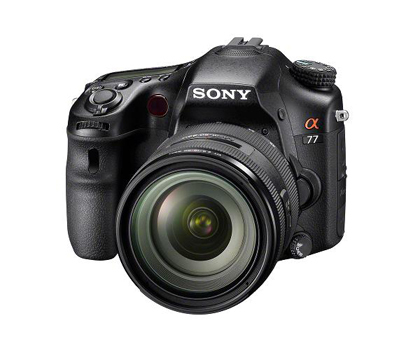 Like the Alpha 77, the Sony NEX-7 is made from a tough magnesium alloy. It has an undeniably classy body with a rubberised grip. Measuring 199.9×66.9×42.6mm, the NEX-7 is slightly larger than the new NEX-5N, and at £999.99 body-only it is considerably more expensive. 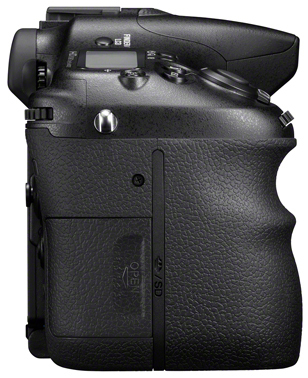 However, it does include a built-in flash and an EVF (although this is available as a separate unit for the NEX-5N at £300). The menus and shooting modes are controlled through a new TRINAVi system. This comprises the control wheel on the rear and two unmarked dials on the top of the body. It may take a little longer to become accustomed to this system than some others, but I can see it will offer a fast way to navigate through the camera controls once people become familiarized with it. With a viewfinder in the top left of the body, the NEX-7 has the feel of a rangefinder camera. We have waited for a long time for a built-in viewfinder in a compact system camera, and this could well be the model that many keen photographers decide to splash out on. Also announced to accompany the NEX-7 is a second-generation E-mount-to-A-mount (LA-EA2) lens adapter (around £340). This adapter has a built-in motor to drive older Minolta and Sony SSM lenses, and also a translucent mirror and phase-detection sensors to give the full benefit of SLT technology to the NEX range. 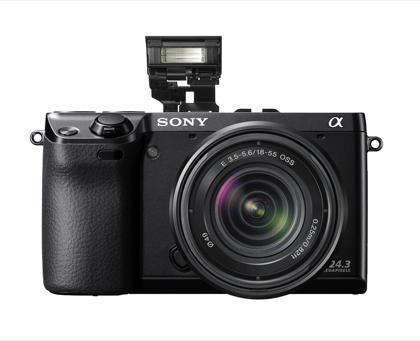 The Sony NEX-7 is also available with 18-55mm f/3.5-5/6 lens, price £1,129.